Hello Lovelies! If you caught yesterday's post you'll know that I'll be reviewing all of the bubble bars and bath bombs Lush are discontinuing so that you can have a chance to stock up on them before they leave the shelves. It's hard to let go to some of my favourite products - but at least it means that some of the Oxford Street exclusives will become available for so many of you! Dorothy (£3.25) is a tribute to you guessed it, The Wizard Of Oz with its beautiful rainbow design, which will have you singing Somewhere Over The Rainbow in your head. It is hands down one of my favourite Lush designs ever, with beautiful vibrant colours that put a smile on my face. As you can probably tell mine actually got a little faded (left it out in the sun by mistake, which you are not meant to do...) but even faded it still looks cute and bright. Scent wise this doesn't blow me over. It's a mixture of Ylang Ylang and Orange Flower which is pleasant but it's not a particularly strong or interesting scent in my opinion. If I'm honest Dorothy is one that I bought and got excited about but when deciding what bath products to use next, it was never my first choice purely based on the scent. 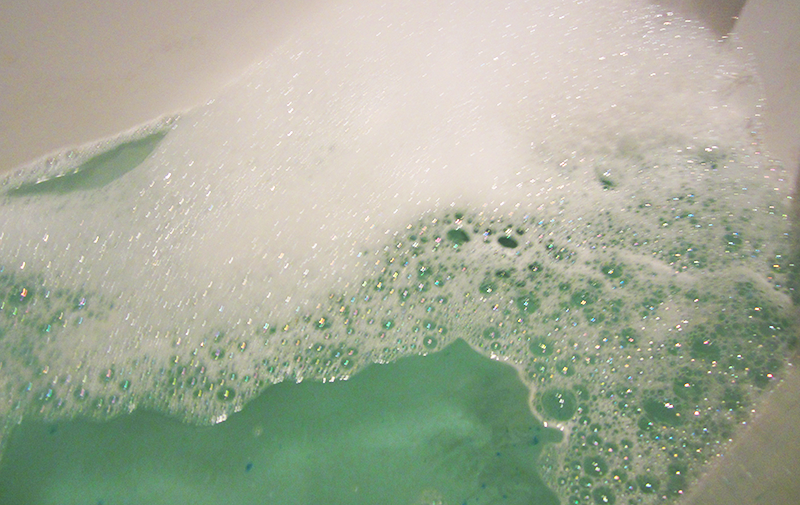 Dorothy makes your bath a beautiful turquoise colour, and fills your bath with lots of bubbles. I find that it doesn't make your bath quite as soft as some of the other Lush bubble bars, but it does provide you with lots of lovely bubbles. Unfortunately again, this didn't impress me so much scent wise as the smell of Ylang Ylang and Orange Flower died away pretty quickly and didn't linger on my skin after the bath. That said, this is a really fun little bubble bar and I would definitely buy it again before it leaves the Lush stock. It didn't blow me away, but it still makes a lovely bath (so I can't really complain). Thank you so much for reading lovelies! Have an amazing Sunday! Here are the reviews I've done so far of the products Lush will be discontinuing, just in case you missed them! Aww thanks so much Pam :) And yeah it's a shame I don't like the scent more! That's a shame about the scent as anything with Ylang Ylang is usually really lovely. It's one of the prettiest Lush bar that I've seen though, love the rainbow design. 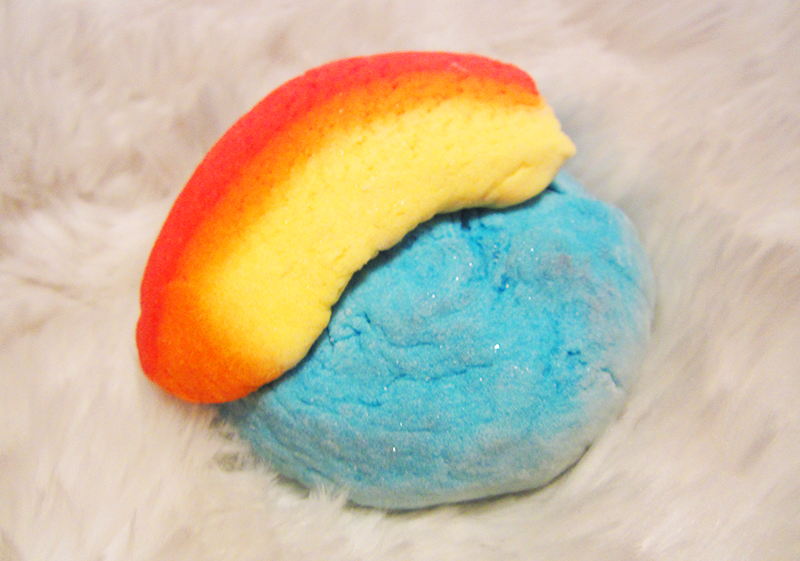 Yeah, the rainbow design is really pretty :) Just wish the scent was a little stronger! What else is Lush discontinuing? I won;t be able to make a trip for ages. I have never tried this one though but it never blew me away. I would prefer something a bit more dramatic or pink! A lot of products from all of the range - you can actually find a full list on their website. I would list them all but there are quite a few! Yeah it's really sad and haha I can actually see what you mean about the scent!